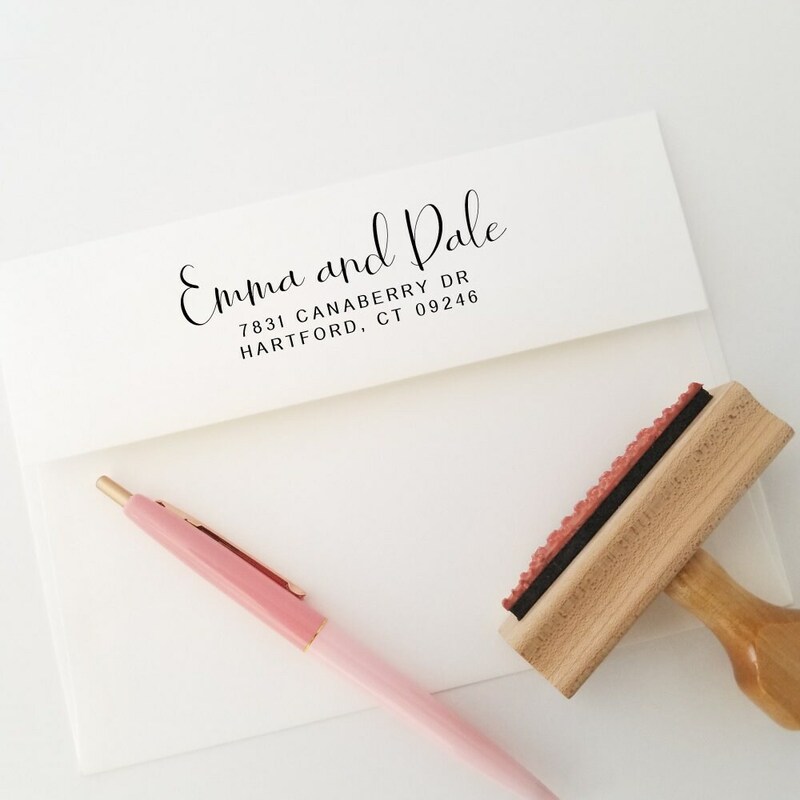 Gorgeous calligraphy return address stamp for stamping wedding invitations and save the dates. 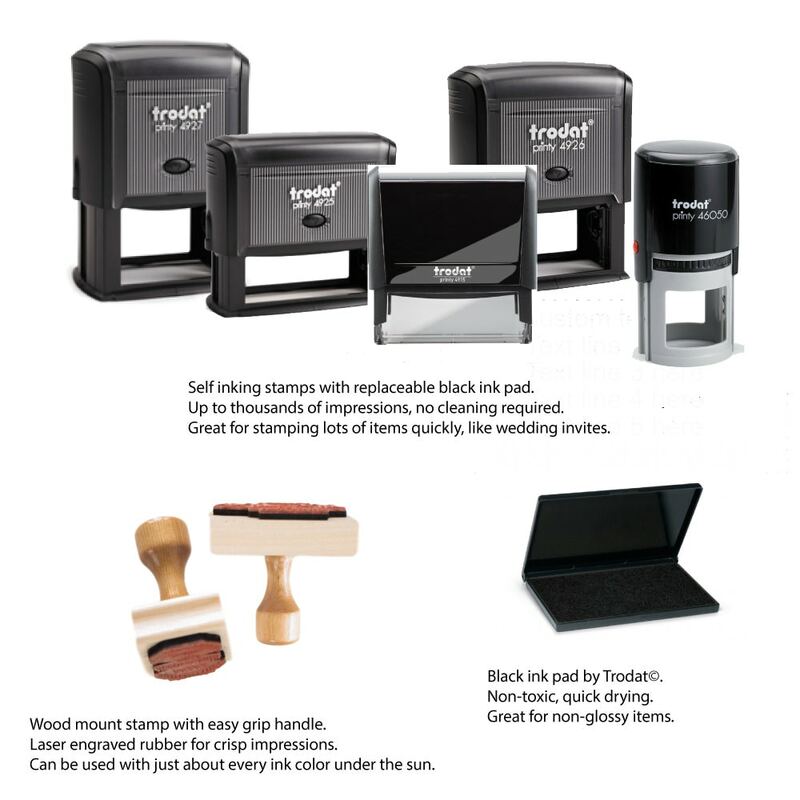 Imprint size up to 0.72"h x 2.5"w. We'll personalize your stamp in the fonts and layout as shown. 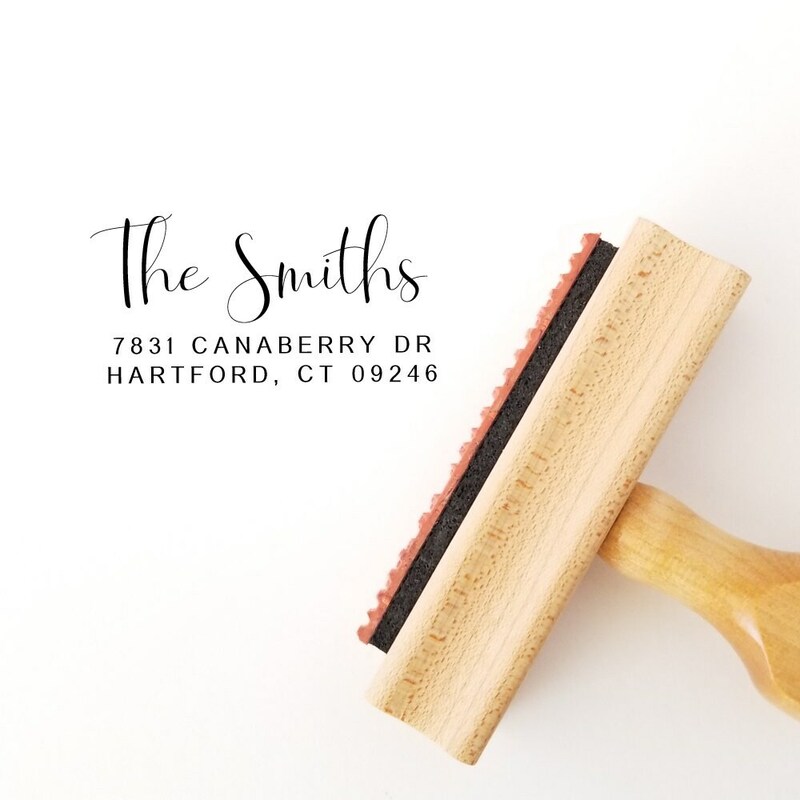 Beautiful gift for your bridesmaids.